A lively Question Time audience kept party leaders on their toes during the last debate before the 2015 general election. Prime Minister David Cameron took the stage along with Labour leader Ed Miliband and Liberal Democrat chief Nick Clegg. They answered questions relating to post-election deals, the economy, tuition fees and welfare cuts. Twitter analysis from FleishmanHillard suggested Cameron comfortably won the debate. The debate generated more than 180,000 mentions on Twitter, the lowest of any major political discussion so far. Previously, a challengers debate on the BBC resulted in 450,000 mentions and ITV’s Leaders Debate created a major buzz, peaking at 950,000 mentions. Despite Miliband appearing to finish in third, the Labour leader remained the most talked about politician on Twitter. Some 32.7 per cent of mentions were about him, according to ElectUK, a tracking app built by Tata Consultancy Services. Labour also continued to lead the way in mentions, with 28.7 per cent of social media users talking about the party. UKIP placed second with 26.2 per cent of mentions in the past 24 hours. 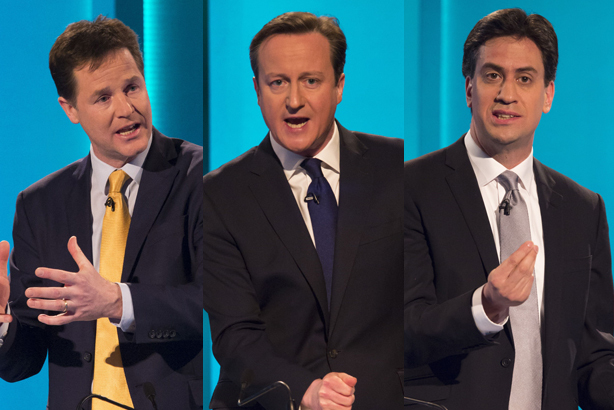 This was the final debate ahead of the general election on 7 May. So far it appears Labour has been winning the online election but despite all the positive promotion the party has received on Twitter, experts have predicted this will not translate to real votes.